Consumers’ viewing experience continues to get more fragmented each year due to the vast array of ways to watch video. One area that is not suffering is digital video. Ad spending continues to soar with a projected $15.42 billion to be spent in 2018, which is up 16.5% from 2017. 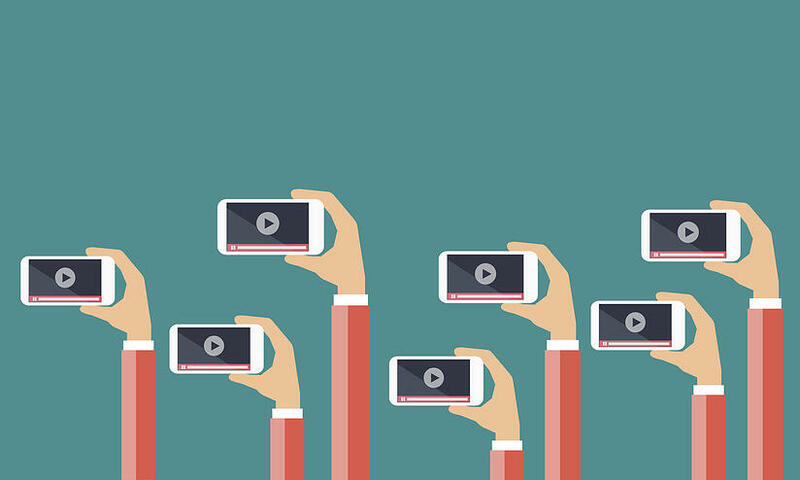 In order to capitalize on the ever growing industry, social platforms have continuously been rolling out new capabilities to support video formats. One of the most recent additions to consumers’ viewing experience is the emergence of original content exclusive to a given social media platform. Below we explore the worthy players in the space and how these platforms can be incorporated into future campaigns. Although Twitter’s video offering is not new, it continues to get more sophisticated with a plethora or targeting options as well as formats catered to how users navigate the platform. Twitter has deals with major news and sports outlets with some programming even being streamed live. Twitter TV is a destination for users to check in on what is happening around the world, which is a great fit for advertisers with a strong emphasis on news and sports. Advertisers have the choice to purchase pre-roll ads to target a specific audience based on behaviors or interests or they may sponsor specific shows that can integrate brand messaging. Snapchat TV started out extremely popular as one of the innovators in the space; however, users are being seen as likely to drop off due to the platform redesign. Snapchat continues to publish original content in an effort to keep users engaged. The unskippable 6-second mid-roll ad is the only format offered within original content and can be purchased by audience, such as lifestyle traits, what users buy, where users visit, etc. Since users are not able to click through to skip, the ad is also not able to link to a landing page or website, thus making this a tool strictly for brand awareness. Movie trailers are one of the most popular ways this strategy is currently being utilized. Instagram is the newest player in the game specializing in long form videos, which can be up to an hour long from accounts with large fan bases. IGTV is the only platform that does not allow advertisers to take advantage of in-stream placements as of yet; however, it’s been indicated advertising options are on the horizon. Instagram differs from the others due to the emphasis on “influencers” but also allows anyone, including brands, to create custom content. IGTV is a separate space users can go in the app to consume original content which may show higher engagement with the content. Facebook Watch rolled out in 2017, which is comprised of long and short form videos, or shows that often make up a series. Watch has many creators that have signed onto creating content in order to boost user engagement. The platform has also adopted the in-stream unskippable ad which can run solely across original content based on audience and objective, but cannot be tailored to a specific show. Given that Facebook Watch campaigns can easily be tailored to campaign objectives, it certainly is worth keeping in consideration. Although Twitter’s video offering is not new, it continues to get more sophisticated with a plethora or targeting options as well as formats catered to how users navigate the platform. Twitter has deals with major news and sports outlets with some programming even being streamed live, which we explored in July. Twitter TV is a destination for users to check in on what is happening around the world, which is a great fit for advertisers with a strong emphasis on news and sports. Advertisers have the choice to purchase pre-roll ads to target a specific audience based on behaviors or interests or they may sponsor specific shows that can integrate brand messaging. Although social TV continues to gain popularity, the adoption rate is rather slow given the large reach of these platforms. Additionally, metrics are vague for these platforms making it difficult to decipher the effectiveness of placing ads in social shows. Social TV is certainly a tactic MayoSeitz Media will continue to monitor, but it’s usage cases are specialized at this moment and still a small portion of the overall video ecosystem.